Della Rae passed away July 30, 2013 at the age of 70 from the ravages of Alzheimers disease. She was a loving mother of 2 boys Shelby and Chris and grandmother of three. Also survived by her husband Quinn. 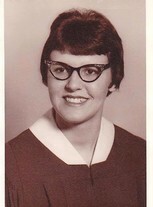 After her boys were raised Della Rae went back to college and earned her degree and taught school for a number of years.